Dr. Daniel Kruschinski has been dismissed from Emma Clinic and is forbidden to do any more surgeries there. Endogyn Web Site ( English) remains dormant, like a ship settled on the bottom of the sea it shall remain that way forever more. * All surgeries scheduled for Endogyn have been cancelled! * 2007 ISGE meeting hosted by “Kru” cancelled! * All “new” surgery sites “Kru” claimed to be opening, cancelled! * “Kru” cannot perform surgery in other countries as he stated he would! *"Kru" had been dismissed from 5 prior medical centers before renting his office and medical space from Emma Klinik! “Kru” tells his "German" patients that he will perform surgeries at another location in Germany, IHRT says, “Keep Him in Germany” as when they condone this kind of surgeon there, keep him there, however, IHRT cautions any US patient who might be considering following this surgeon (like a cult) for future surgeries, my God, think! DO NOT trust any of “Kru’s” prior patients who make claims of being well, those who made these claims, all of a sudden are NOT as well as they had portrayed themselves to be, male patients included! 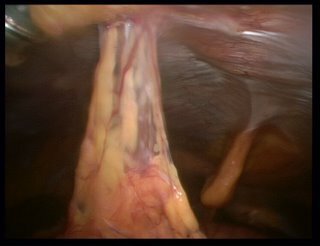 IF any patient to Endogyn was “cured” in a first trip there, is was due to them having a very minimal case of adhesions and of course the “Confluent Spraygel!" "Kru's crew has fallen with him, they have been silenced too! Helen Dynda is silenced and alone, had by "Kru!" So much for her and "Kru's"patient/Dr. relationship! "Knowledge IS Power" but only if you use it wisely, Helen! Carolyn, Connie, Sally and Lisa, have all been had by "Kru" too, and if they only knew the whole story, they would know how he talked about them, as he talked about us! Regarding “Kru’s” claims of performing a “gasless” procedure – in EVERY surgical procedure he ever did, even with the “Abdolift," he used CO2 to insufflate the abdomen of his patient!!! Check your op reports. There is no other way to "screw" the Abdolift into the abdomen unless it was already insulflated, if it were not so, organs would be easily punctured by it! One final disclosure from the IHRT team...not once did we ever miss-represent anything we posted regarding Kruschisnki, never once did we embelish any issues, and not once did we ever not tell the truth! Our agenda did not change since it started in 2003, and it was never to promote any particular surgeon, but rather, to challenge others to seek the truth of Kruschinski and his "crew" and to be educated enough to know that the truth was never written or spoken from them! This whole episode is a sad one, we rather many people were well from thier experiences in Endogyn, but it is not that way, and though justice is yet to be served on this man, and it will be, for now, and perhaps in the future, the lives of others have been spared because of both sides presenting thier issues, but with only one side being able to show the truth! yet, it appears that Leiza has it all! The above models are sold seperate with no case or bow as at this level the artist usually wishes to choose their own, but these models are sold fully set up. If you wish to purchase any of the above models please contact me on the contact page, email, or call. I will be happy to direct you to our nearest distributor or if none are near you, I can ship direct. Copyright © 2006 Leiza Ann Hiltz-Scerbo All rights reserved. San Juan, Puerto Rico; St. Thomas in the Virgin Islands, Ocho Rios, Jamaica; Puerto Prince, Haiti; Santa Domingo in the Domican Republic, Caracas, Venezuela; Panama; Costa Rico; and Belize! Since the ship will be in International Waters, Spray Gel will be approved. So, get your tropical clothes ready, but remember you can not go swimming (risk of infection), but you can watch. You can dance the night away, eat your heart out on seven delicious meals a day on the ship, shop (duty free ports!) till you drop at all the stops, go to nightly movies and shows on the cruise ship, play shuffle board, and have a wonderful vacation. Malaga, Valenica, Barcelona, Marseille, Genoa, Rome, Naples, Palermo , and Corsica, and also Majorca! An additional surgery cruise for your fourth look is also being planned - to the Greek Islands! If further surgeries are needed, a trip may be available to the South China Sea. Prelimary meetings with the SS. Repose Hospital Ship have been very favorable. Stay tuned. We will get back to you soon with more details. Postoperative adhesions remain a major problem in health care. For the patients they cause pain, infertility and severe complications as bowel obstruction. For the government and the insurers the estimated costs are extremely high. Comment In the voting, Belgium and gynaecologists were probably over-represented. After consultation have been considered elected the 4 highest ranking surgeons and 5 gynaecologists. We wish to congratulate all the candidates and thank them for their support to PAX society by standing for election. Here is the typical miss-representation that IHRT has been dealing with in regards to adhesiolysis in Endogyn! Posts say one thing, emails say another! Shame on you Leiza for doing exactly what Karen, Lisa, Sally, Carolyn and Connie, among others, have been doing for years to boost surgeries at Endogyn, which is lying! It is for this reason that IHRT will expose each and everything we find like this going on in Endogyn, as if we didn't, there would be many more persons taken gross advantage of by unscrupuous people such as we see posting in Endogyn! There is nothing we can believe that this lady posts...as she is obviously a dishonest person...it is no wonder she is so diligently backing persons like Karen, and others, who have committed this same injustices leading far to many to Endogyn for poor, exspensive adhesiolysis procedures that simply do not work for most of them! IHRT invites you to draw your own conclusions! From 2003 - 2006, this type of posting has not stopped yet! trust nothing you find in Endogyn to be the truth! hi my name is Leiza and I had surgery in February for abdominal adhesions performed by Dr. Kruschinski. I know it has not been much time and I am still working on full recovery, but I am so much better off than before the surgery I just wanted to let others know that. Dr. Kruschinski did change my life. He gave me hope of unbelievable proportions! Thanks to Dr. Kruschinski for being the best and I pray he remains miles ahead of the rest. Have a Happy Day, I off to the gym, I work out everyday for at least two hours and run 3-6 miles a day. Before my trip to Germany I was signing up for Hospice care.....Big DIF....Lovinit!!! In July 2004 I was granted Disability with U.S. Social Security with retro status back to the last day I could work in September 2002!!!! The decision was based on Adhesion Related Disorders, Chronic pain caused by multiple lysis of adhesions (14 surgeries by that time), and Chronic Post Traumatic Stress Disorder as a result of suffering from adhesions for so long. It took many years as you can see for the decision to be made and I never realized until now just what my case could mean to so many who are still fighting to prove their case. So I am posting this information for the first time publicly to let people know that there is hope for those who are still struggling to gain recgognition of their plite. The real hope, for relief that is, of this debilitating desease and its symptoms lies in the skilled hands of Dr. Kruschinski. Although he nor any other surgeon can reverse the damage done by so many of the invasive surgeries I have been subjected to, he has given me the most relief, the most hope for a better life, and the chance to be here right now and share this news. Before I met Dr. Kruschinski, I had given up on life, no surgeon in the U. S. that I contacted would work on me again (I was too much of a risk) and I was signed up hospice care and making my funeral arrangements. Last week I took a short walk with my son to enjoy the beauty of another sunny day. My son had asked me to just walk to the end of the road with him (right, he did not tell me how long the road is, but do we ever know the length of the road of life), we walked 12 miles and I did not even need a break! So if you are giving up, don't, just call Dr. Kruschinski, he will return your call promptly and you will be given a new life full of sunshine and hope!!!! God bless him and his staff for their kind care and all you who are out there in need of a prayer!!! Beverly, I have been reading your site deligently and it has made me want to ask you many questions. I am not into public screaming, and I was wondering if you would be receptive to answering me directly. There are days I have when I can not move at all due to complications that have arisen. Well the Caymans as a surgery location have not worked out... too expensive and too hard to plan, but Dr. Kru has found another possible location - Mallorca, Spain. BUT, if that location also falls thru, there is another great plan in the works: an "Endogyn Surgery Cruise" on a fully equipped cruise ship with a complete Endogyn hospital and staff. The ship will set sail from Miami, and cruise the Caribbean. Stops will include San Juan, Puerto Rico; St. Thomas in the Virgin Islands, Ocho Rios, Jamaica; Puerto Prince, Haiti; Santa Domingo in the Domican Republic, Caracas, Venezuela; Panama; Costa Rico; and Belize! Since the ship will be in International Waters, Spray Gel will be approved. So get your tropical clothes ready, but remember you can not go swimming (risk of infection), but you can watch. You can dance the night away, eat your heart out on seven delicious meals a day on the ship, shop (duty free ports!) till you drop at all the stops, go to nightly movies and shows on the cruise ship, play shuffle board, and have a wonderful vacation. A second cruise is being planned for your third look: to avoid boredom, that cruise will be of the western and central Mediterranean: Malaga, Valenica, Barcelona, Marseille, Genoa, Rome, Naples, Palermo , and Corsica, and also Majorca! Accommodations will be double occupancy on the ship, and the cost will be very affordable. If further surgeries are needed, a trip may be available to the South China Sea. Prelimary meetings with the SS. Repose Hospital Ship have been very favorable. Stay tuned. We will get back to you soon with more details. SEE "COMMENTS" TO THIS POST WHERE IT IS PRINTED BELOW.